Beanbag (foam) chairs: Fun and versatile, beanbag chairs are ideal for reading books, watching TV, and playing with tablets. To make your own, just visit our site and order a bag of shredded foam, a zippered liner, and a zippered suede cover in your child’s favorite color. From there, assembly (as well as washing and general care) are a breeze. Booster cushion: Does your child need a bit of extra height at the dinner table or homework desk? If so, then a booster cushion, made with a thick foam pad (available in 1” increments up to 8”) and a wipeable cover, is a valuable accessory to have. For extra safety and security, be sure to add in a bit of nonslip material to the bottom of the cover prior to use. Pillow bed: For a portable sleeping or lounging pad that can also be propped against the wall as a comfy chair, look no further than a pillow bed. For this project, you’ll need between four and six foam pads (depending on the desired length of the bed) and an equal amount of pillow cases or covers. Basic sewing skills will take you the rest of the way through the project. 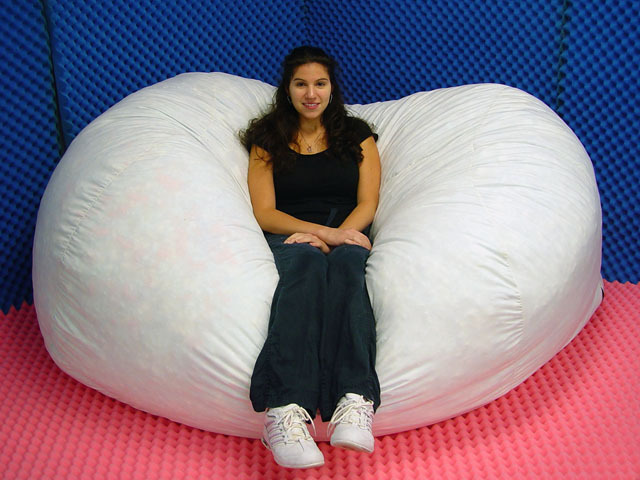 Child-sized foam chair: To make a child-sized armchair that’s perfect for toddlers and older children you’ll need four rectangular pieces of foam that are roughly equal in size to serve as the armrests/sides and base of the chair, plus one longer piece of foam for the back support. Use an electric kitchen knife to cut the foam to size, use some foam adhesive to stick the pieces together, and then cover the chair with a washable fabric in a cute pattern. These foam projects not only yield amazing results, but are also fun to do as a family. Try them with your kids this weekend or save them for a rainy day during summer vacation!